The Staff Friends and Family Test is a programme that reports the views of thousands of employees in the NHS. The test runs three times a year and aims to provide a snapshot of what staff think about where they work. How likely are you to recommend Greater Manchester Mental Health NHS Foundation Trust (GMMH) to friends and family if they needed care or treatment? How likely are you to recommend Greater Manchester Mental Health NHS Foundation Trust to friends and family as a place to work? In the latest Staff Friends and Family Test, which ran in June 2016, the Trust received its best ever results. 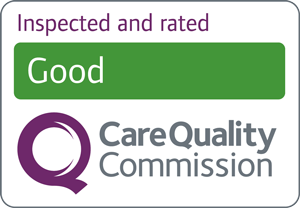 81% of staff said they would recommend GMW (as the Trust was then known) as a place to receive care and 73% of staff said they would recommend us as a place to work. The proportions of staff not recommending GMW as a place to be treated or as a place to work are now at their lowest levels too – 5% and 12% respectively. Since we began the Staff Friends and Family Test our scores have continued to improve. They indicate overall increases of 9% in those recommending GMW as a place to receive care and 11% in those recommending GMW as a place to work. The Staff Friends and Family Test isn't run between October-December, as this when the more detailed national NHS staff survey takes place.